It was recently announced on The Isle of Wight Festival‘s website that Reunited Manchester indie quartet the Stone Roses will headline the 2013 Isle of Wight festival which takes place on the 13th 14th 15th and 16th June 2013, and it will be the only UK festival that the re-formed British indie band the Stone Roses will play next year. The will also play three more gigs in 2013, two in London’s Finsbury Park on June 7 and 8 and then once in Glasgow Green on June 15 2013. The band last performed a gig at Glasgow Green On June 9 1990 and this has since been lauded as one of their finest live performances, They will return to the same venue almost 22 years later to the day. Earlier this year They also played three reunion gigs at Manchester’s Heaton Park which broke world records for the fastest selling UK dates in history with 220,000 tickets being sold to fans in just 68 minutes. The Stone Roses formed in Manchester in 1993. With their classic line-up – comprising frontman Ian Brown, guitarist John Squire, bassist Gary “Mani” Mounfield and drummer Alan “Reni” Wren – the band were at the forefront of the ‘Madchester’ movement of bands playing dance-inflected rock in the late-Eighties and early-Nineties, and they will perform at the Isle of Wight festival on Friday June 14, 2013 after reforming earlier this year following a fifteen year hiatus .An announcement on the festival’s website adds that the Isle of Wight gig will be the group’s only UK festival performance next year. In addition Bon Jovi have also confirmed that they will play a headline slot at the Isle Of Wight Festival 2013 and close the show. The New Jersey band – whose hits include Living On A Prayer – will play the main stage on Sunday June 16, making their debut at the event.They join The Stone Roses who were recently confirmed to perform at the Isle Of Wight, topping the first night bill on the Friday. Bon Jovi will be playing their only UK festival performance of 2013. Frontman Jon Bon Jovi said his group was “honoured” to playing.”The Isle of Wight Festival is legendary and we’re excited to join in the long tradition of rock’n’roll history,” he said. This year, artists such as Bruce Springsteen, Pearl Jam, Tom Petty, Noel Gallagher and Jessie J were among the big-name performers. Further acts will be confirmed for the festival later this week and Tickets for the Isle of Wight Festival 2013 will go on general sale Wednesday 28th November 2012 at 9am. A restored version of Melies classic Science Fiction film “A Trip to the Moon” (Voyage Dans le Lune) was released on DVD on 26th November 2012. Originally released in 1902, this legendary 16-minute film is widely considered to be one of the most important works in film history. Created just six years after the invention of cinema this is where narrative cinema truly began. George Méliès masterpiece features six members of the Astronomers’ Club, fired into space by a giant cannon, on a strange and wonderful journey to the moon to meet its inhabitants. The colour version of A Trip to the Moon, hand-painted frame by frame, was considered lost for many years, until a print, in a desperate condition, was found in Spain in 1993. It is this version which has been meticulously restored – one of the most sophisticated and expensive restorations in the history of cinema. The luminous resulting film is accompanied by a new original soundtrack composed by French duo AIR. Accompanying the film is a fascinating 60 minute documentary, The Extraordinary Voyage, detailing the restoration process and featuring contributions from esteemed directors such as Michel Gondry, Jean-Pierre Jeunet and Michel Hazanavicius. I would also like to watch Pixar Animation Studios latest film “Brave” which is released on DVD on November 26th 2012. It Features a headstrong Princess named Merida (Kelly McDonald), a skilled archer living in an ancient land full of mystery and tradition, who is the daughter of King Fergus and Queen Elinor and is Determined to carve her own path in life. So One day she defies an age-old custom sacred to the unruly and uproarious lords of theland and inadvertently unleashes chaos in the kingdom and ends up having to take a long and perilous journey in order to undo a beastly curse before it’s too late. During her astonishing adventure she is assisted by her three clever and mischievous brothers, and she finds herself having to use all of her skills and resources and ends up discovering the true meaning of bravery. 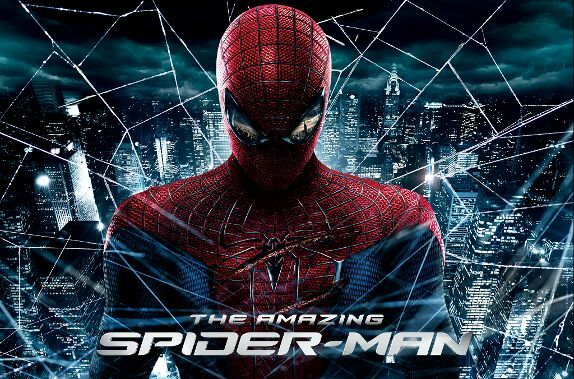 I would like to watch Director Marc Webb’s latest film The Amazing Spider-Man™ which is out on DVD on 26th November 2012 and stars Bafta-winning actor Andrew Garfield as Peter Parker, a teenager who is living with his Uncle Ben (Martin Sheen) and Aunt May (Sally Field), after his parents mysteriously vanished when he was young. Peter is a bright, introverted young High School Student who also has a needle- sharp young girlfriend, Gwen Stacy (Emma Stone), whose Father Captain Stacy (Denis Leary) happens to work for the police. One Day Peter gets bitten by a radio-active spider, developing some rather interesting abilities as a result, and then While searching for clues regarding his parents fate, he discovers a mysterious briefcase that belonged to his father, and begins a quest to understand his parents’ mysterious disappearance. This leads him directly to Oscorp and the lab of Dr. Curt Connors (Rhys Ifans), his father’s former partner, who is working on the secret of limb-regeneration but has an unfortunate accident with some rather alarming side-effects. Parker’s investigations soon put him on a collision course with Dr. Curt Connors. As if that wasn’t bad enough, Gwen’s ambitious Father Captain Stacy is in charge of the investigation, wants a promotion, and thinks Parker is a villain and sets out after both him and Connors with tremendous zeal. Red Bull’s Sebastian Vettel was crowned the youngest three-time Formula One world champion at the Brazilian Grand Prix at the Interlagos circuit in Sao Paulo on Sunday 25th November 2012. He eventually finished in sixth place and three points ahead of Ferrari’s Fernando Alonso in the Formula One Drivers Championship. Spaniard Fernando Alonso could do no better than second behind the eventual race winner Jenson Button, who celebrated his third victory of the season as McLaren team-mate Lewis Hamilton crashed out in his final race. A bad start saw Sebastian Vettel at the back of the field after being tagged by Williams’ Bruno Senna, and facing the wrong way a few seconds after the start of the race. Despite the adverse weather conditions and mayhem, Vettel recovered eventually finished sixth behind McLaren’s Jenson Button and emerged with a three-point winning margin over Fernando Alonso ensuring that the 25 year-old German joined two of the greats of the sport in Juan Manuel Fangio and Michael Schumacher in winning three consecutive titles & become only the ninth driver to win three titles.